How much are Bellator Tickets? Because no matter how awesome it is to watch live fights on the TV, there is no way that the TV can compare to being live and in person at an MMA event, because it really does take things to the next level and every live MMA event is always an unforgettable experience for MMA fans. So today is a great one for me, because we are gona look at all the ticket information you need and a full fight analysis for the top fights on the upcoming Bellator 214: Fedor vs Bader fight card taking place on Saturday the 26th of January 2019, at The Forum – Los Angeles, Inglewood, CA. Fedor Emelianenko has always been one of my favourite fighters, ever since his legendary run in Pride back in the day – so seeing him fight anytime feels like a special privilege to me. But even as the most avid Fedor can admit, he has slowed down and looked much more vulnerable in recent years and in this fight he will be going against one of his biggest tests for a long time in Ryan Bader. Fedor vs Bader it has a ring to it, its possible this could be a classic. Bellator have always had an amazing tournament structure which I always have enjoyed and Scott Coker has kept his great match making going with this most recent Heavyweight Grand Prix tournament, which has been a great one to watch and and has culminated in this final match up. Fedor Emelianenko vs. Ryan Bader -This is a really great fight in the Heavyweight tournament final and as a lifelong Fedor fan its always a pleasure to see him compete, despite the fact that he is past his true prime. However, stylistically I expect this to be fun because Fedor will do what he usually does, he will come forward fast and hard early with a barrage of punches. When they collide either Fedor is gona find a way to KO Bader with a big punch, or Bader is gona take down Fedor with his superior Wrestling and land some heavy ground and pound. That being said Fedors Submission technique has always been amazing so he could catch Bader in a submission from the bottom, or on the feet if Fedor can’t KO Bader, then its likely that Bader will be able to outpoint and pick apart Fedor on the feet with his much evolved striking skills.My head is saying Bader but my heart is and always will say Fedor in any match – but in this bout I actually do think Fedor can land a huge shot like he did against Frank Mir and Chael Sonnen recently, then follow up and finish Bader. Fedor has always hit really hard and Bader has been susceptible to KO from a big striker in his career and that’s what i expect to play out. Gegard Mousasi vs. Rafael Lovato Jr. TITLE FIGHT – In the co main event this is another really great fight which I think shows off Bellators evolution to be a closer rival to the UFC. I don’t care what anybody says Gegard Mousasi clearly is one of the best Middleweights in the world right now, easily top 5 as his resume and continual achievements in his career speak for themselves with 45 wins 2 draws and only 6 losses against the worlds best. Rafael Lovato Jr. is at a totally different point in his career having only 9 professional MMA fights thus far, however he has won all 9 bouts with his phenomenal Jiu-Jitsu. But in this fight I really can’t see any other outcome then Mousasi using his far superior experience to dominate wherever the bout takes place to get the victory by strikes on the feet or the ground, a decision or less likely but still possible submission win. But unfortunately this fight is not certain as Mousasi has had some back issues recently, but who knows maybe a certain Dragon may come and save the card by stepping into Mousasi’s place. Aaron Pico vs. Henry Corrales – well if you know anything about Bellator in recent years then you no doubt will have heard of Aaron Pico, because the kid is only 22 years old but has the highest calibre of Wrestling credentials for his weight and has an ever evolving MMA game in general. But this is definitely going to be Picos toughest test yet as Corrales has a considerable experience edge in this fight and he has only ever lost to Bellators best at 145 such as Daniel Strauss, Patricio Pitbull and Emmanuel Sanchez which speaks volumes. Still though, I do believe Aaron Pico is a special talent and he will find a way to win this bout. On top of these amazing fights above, we have: Jake Hager vs. JW Kiser, Mike Segura vs. Richard Leroy, Jorge Juarez vs. David Pacheco, Mike Segura vs. Richard Leroy, Jorge Juarez vs. David Pacheco, Jay Jay Wilson vs. Tyler Beneke, Bobby Newman vs. Christopher Reyes, Jesse Merritt vs. Thor Skancke, Shawn Johnson vs. Art Rivas and plenty more fights to be announced in the coming days a weeks leading up to January 26th. How much are tickets costing? So lets get to the nitty gritty here -because like any product there is a cost and you want to attend this Bellator 214: Fedor vs Bader event then the ticket prices are currently ranging from $70 – $1,144! This is a really amazing ticket price range, meaning no matter how tight your budget there is a ticket that will suit you for cost and view for the fights. 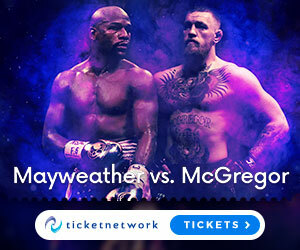 Especially in comparison to UFC events which have considerably more expensive ticket price ranges, if you generally have a tight budget, then Bellator events are always going to beat the UFC for cheaper ticket prices. The Forum in Los Angeles, Inglewood, CA has a really decent capacity as well seating up to 17,500. So if you’re ready to look at all the seating plans and book your ticket now then you can do that on this excellent ticket booking website. Bellator giving some California Love! Personally I wanted to start 2019 with big UFC card in January, but honestly I feel that Bellator has the strongest card in January of any promotion with this Bellator 214: Fedor vs Bader fight card. I fully expect this to be a great night of fights as Bellator brings some California love, so if your in the area or need an excuse to go to LA later this month then this is a great reason to go! So if you have heard enough of me talking now and you just wana get your ticket booked for this great MMA event, then you can do that right HERE. Don’t forget to keep an eye on the List of Bellator Events coming throughout 2019, as well as MMA events from all the major fight promotions. I hope you enjoyed today’s post – leave a comment and/or a question below. Of course like, share, subscribe and as always stay tuned for more from the world of MMA right here at the MMAGateway.